A couple years ago during Ramadan I was looking for ways of giving Zakat when I came across the first Masjid being built in Alaska. I never knew any Muslims were there let alone a community who had a very small place to go for prayers. I donated to their cause and ever since they have been updated me on the progress. The roof has finally been installed in time for the harsh winter. They still need more money to finish as they intend on adding an Islamic school as well. 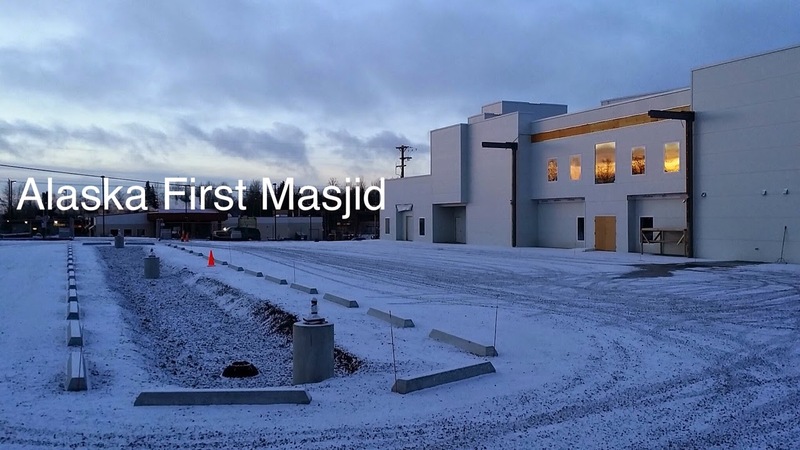 -The Islamic Community Center of Anchorage Alaska is a diverse community that includes African Americans, Caucasians, Albanians, South Asians, Africans, Middle Eastern, Indonesians, Malaysians, Alaska Natives and others. The estimated number of Muslims in Anchorage is 2,000 to 3,000 people. You can find out more about the project on their website where you can donate if you wish to. The masjid has a write up in Al Jazeera America as well.